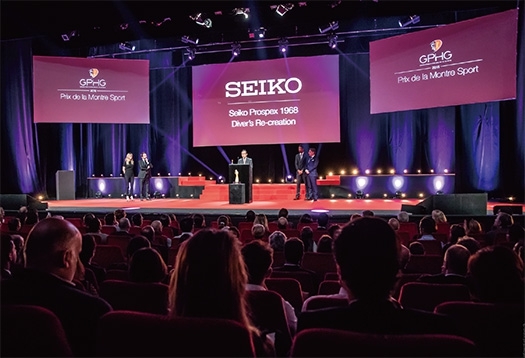 Seiko Prospex wins the Sports Watch Prize at the 2018 Grand Prix d'Horlogerie de Genève. The Grand Prix d'Horlogerie de Genève is the industry's most coveted honor and the annual award ceremony is widely seen as the watch industry's "Oscars". On November 9, the 2018 Grand Prix d'Horlogerie de Genève award ceremony took place at the Théatre du Léman in Geneva. There were twelve prizes for specific categories and five other prizes were also awarded for a range of other horological achievements. From a short list of six in the sports category, the jury of 29 watch and luxury experts selected the Seiko Prospex 1968 Diver's Re-creation as the best sports watch of the year. Seiko created its first diver's watch in 1965 and, ever since, has been responsible for many important innovations in this most demanding of watch specialties. From the first titanium case for a diver's watch to the invention of the accordion-style strap and of the one-piece case structure with outer protector, Seiko has been a pioneer in the field. In 1968, Seiko made its first hi-beat diver's watch with 300 meter water resistance. This watch was one of the foundation stones on which Seiko's future diver's watch development was based. It had a 10-beat, high precision automatic caliber, a one-piece structure, a screw-down crown and a uni-directional rotating bezel. The new recreation has all these characteristics but is brought right up to date with a caliber, 8L55, that was specially designed for diver's use and is made by hand by Seiko's craftsmen and women in the Shizukuishi Watch Studio in Morioka in the north of Japan. 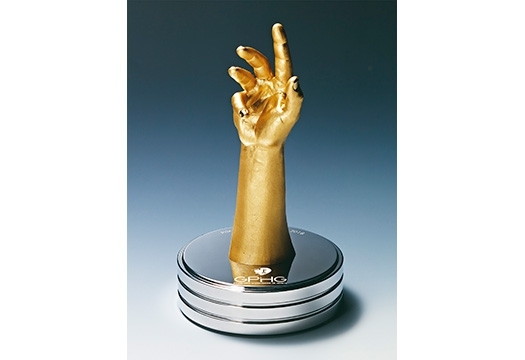 The award was accepted by Atsushi Kaneko, director of Seiko Watch Corporation. Seiko Watch Corporation is deeply honored to receive this award. 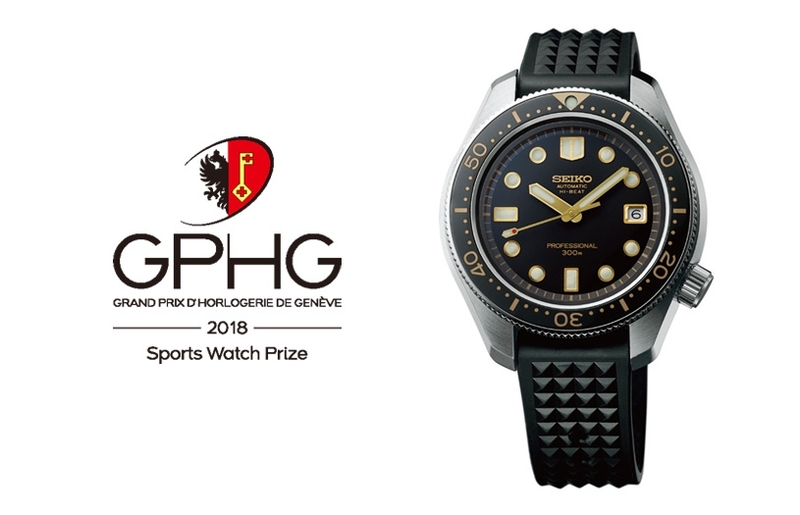 This is the fourth occasion on which Seiko was won an award at the GPHG but it is only the second time that one of our mechanical watches has been recognised and the first time that a Seiko diver's watch has won an award. Commenting on the award, the Chairman & CEO of Seiko Watch Corporation, Shinji Hattori said, "I am very grateful to the GPHG and its jury for their decision to give to Seiko this award. We are very proud of our long tradition in diver's watches and in hi-beat watchmaking. It is a great honor to see our achievements recognised on this most prestigious stage."